Hiroaki Matsubara, a former Kyoto Prefectural University cardiology researcher who resigned last year following an investigation, has had another paper retracted, his ninth. Hiroaki Matsubara, a leading Japanese cardiology researcher who has had three papers retracted and another five subject to expressions of concern, has resigned from Kyoto Prefectural University, according to local media. Mainichi Shimbun reports — according to our roughest of (Google) translations — that Kyoto Prefectural University accepted Matsubara’s resignation following an investigation. That investigation — which the university had told us about last year — revealed serious problems with 27 studies. 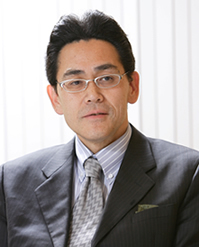 Hiroaki Matsubara, a prominent cardiologist with five Expressions of Concern and two retractions for his CV, has another retraction. The Circulation Journal, the official organ of the Japanese Circulation Society, is retracting two papers by Hiroaki Matsubara, lead researcher on the Kyoto Heart Study, for unreliable findings. Matsubara’s institution, Kyoto Prefectural University, confirmed to us last March that it was investigating the prominent cardiologist. The work of Matsubara came into question last year when the American Heart Association issued an expression of concern for five papers the society published in its journals. Larry Husten, at Forbes/CardioBrief, reports today that the two retracted articles were “Effects of Valsartan on Cardiovascular Morbidity and Mortality in High-Risk Hypertensive Patients With New-Onset Diabetes Mellitus: Sub-Analysis of the KYOTO HEART Study,” published in September 2012; and “Enhanced cardiovascular protective effects of valsartan in high-risk hypertensive patients with left ventricular hypertrophy: Sub-analysis of the KYOTO HEART study,” which appeared in March 2011.